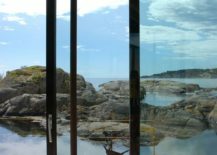 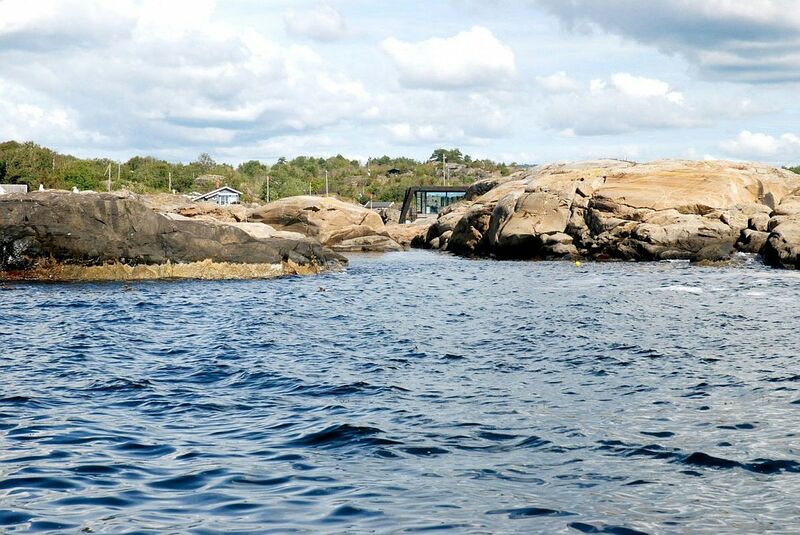 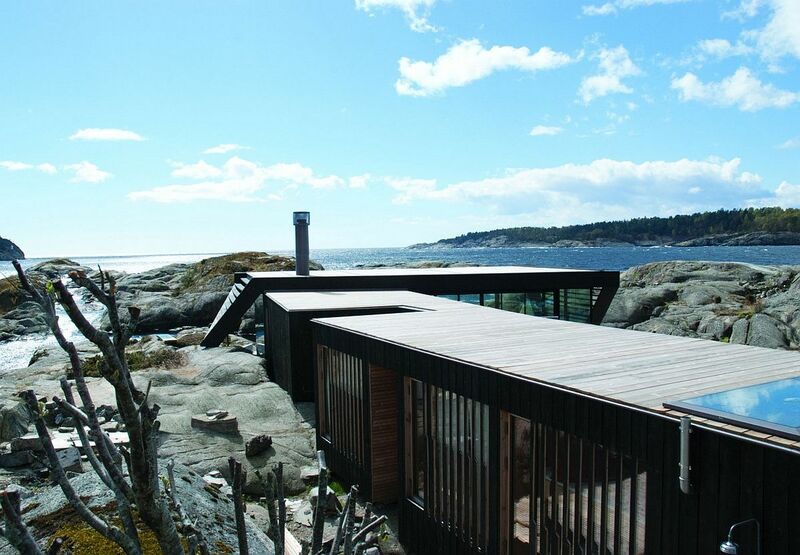 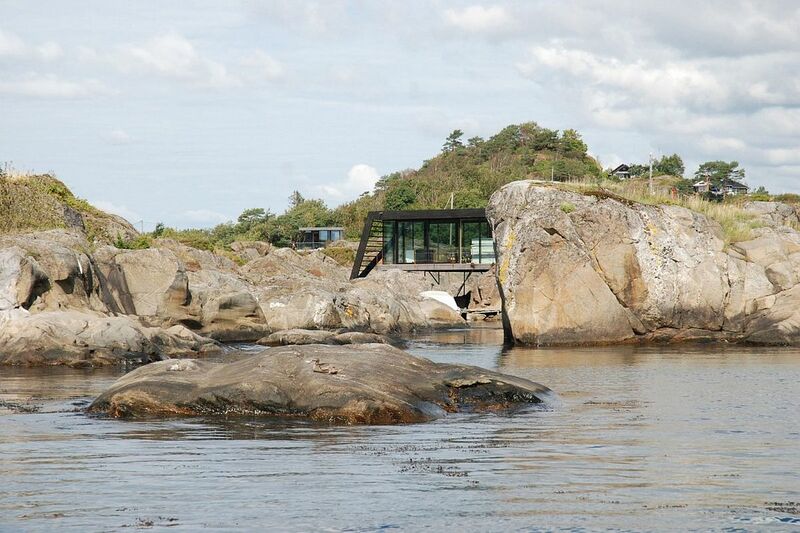 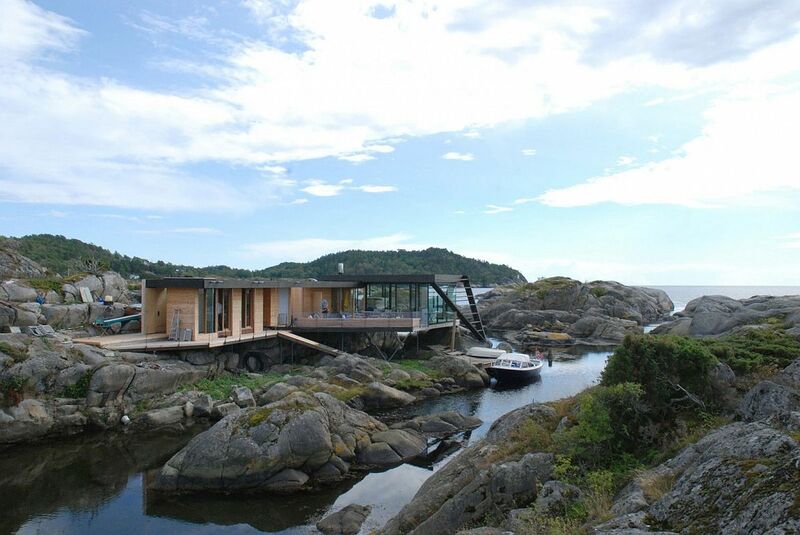 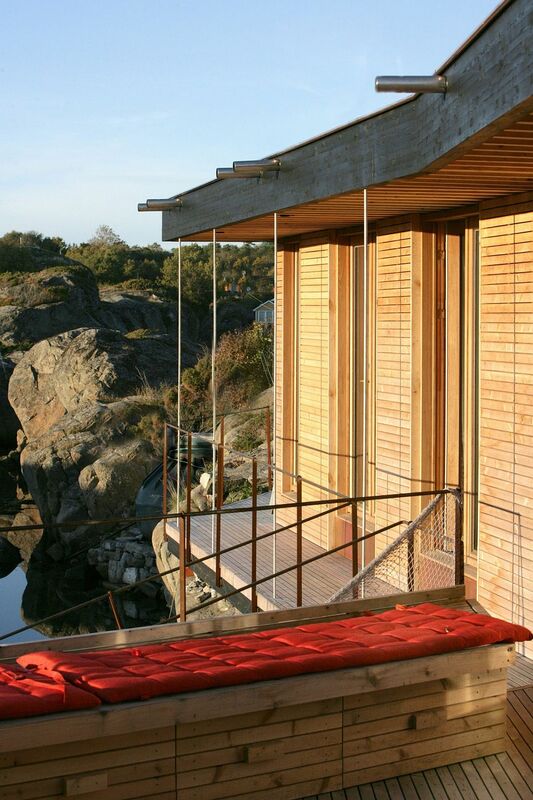 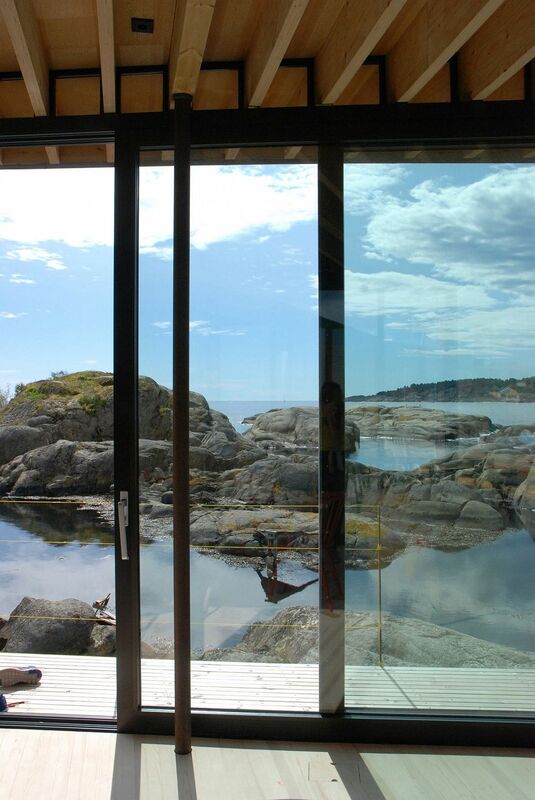 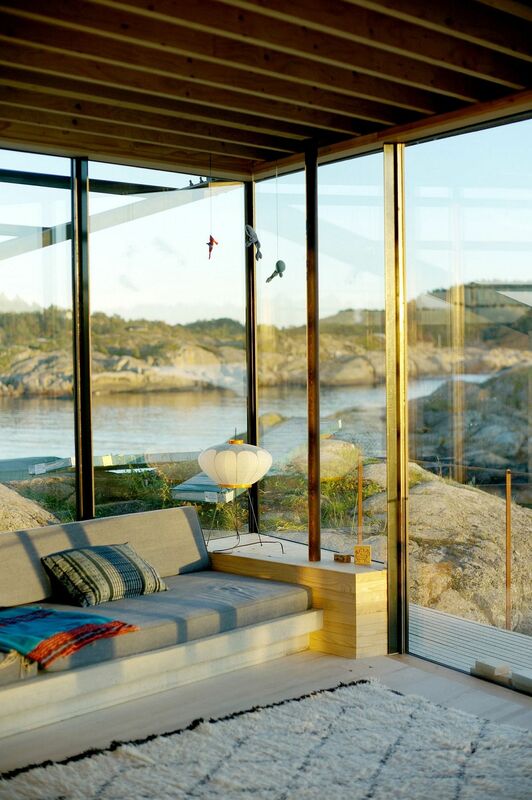 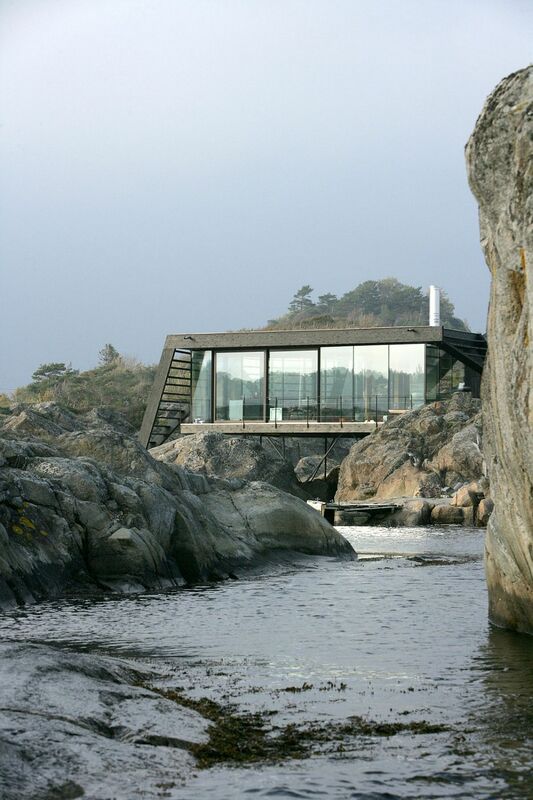 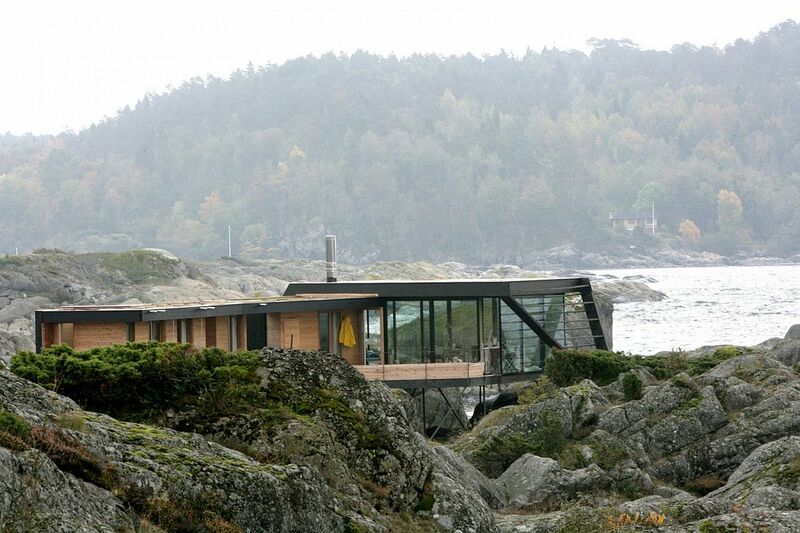 How would you love to escape to a mesmerizing holiday home nestled on the rocky coastline of a small island in Larvik, Norway? 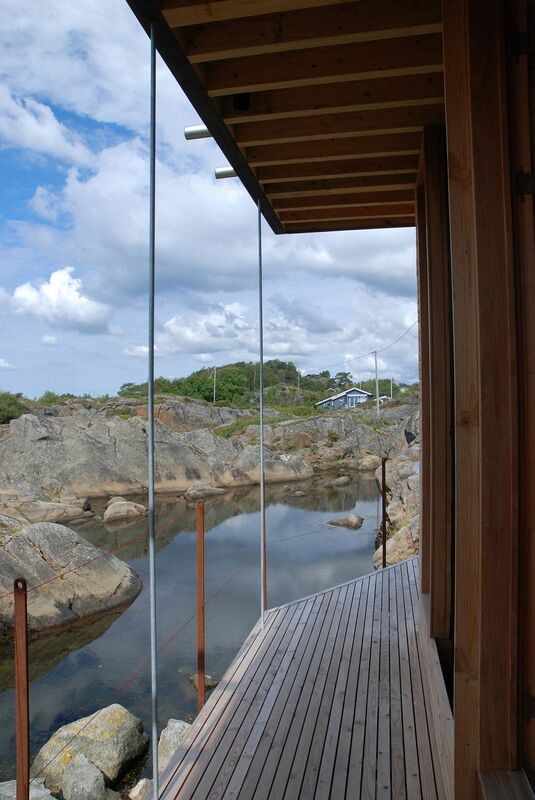 It does sound like an exciting proposition filled with amazing views and loads of tranquility! 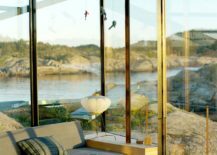 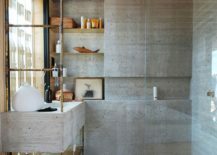 Promising precisely that and a whole lot more is Lille Arøya by Lund Hagem, which was designed for a young family who wanted to transform their more modest holiday home into something far more exciting and expansive. 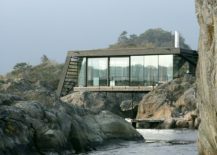 A series of rocks within a 5-meter radius of the water’s edge made the construction of this structure all the more complicated. 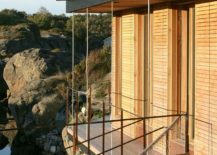 Galvanized steel columns were directly drilled into the rocks to give the structure a sturdy base that can withstand the harsh local weather conditions. 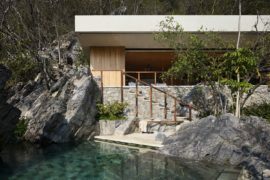 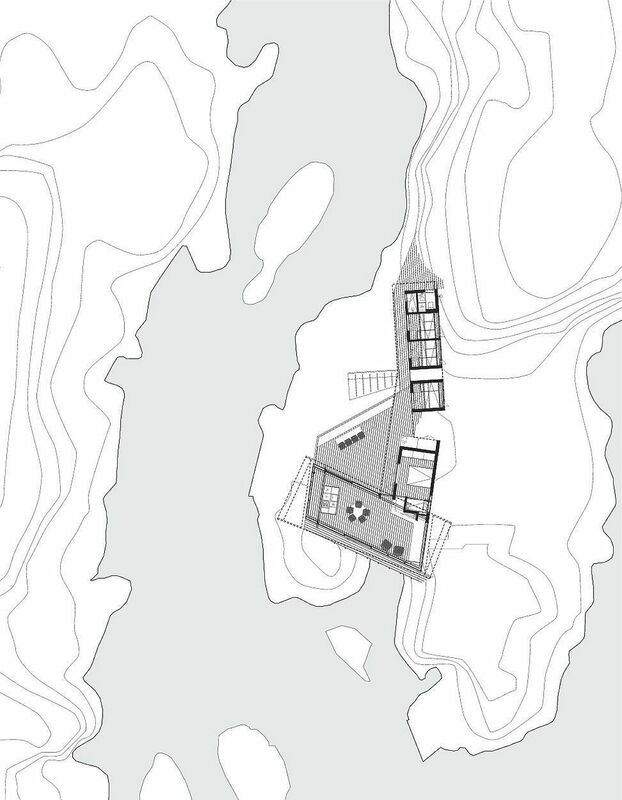 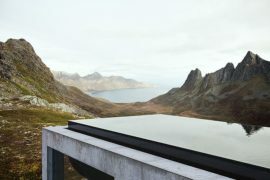 The house almost floats above water and the rocks, with the new structures and additions being connected with the existing holiday home in a seamless fashion. 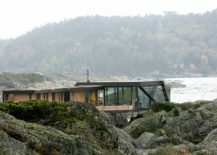 Walkways and bridges turn this cabin into an even more fascinating setting as life comes to a tranquil halt at this magical Norwegian home. 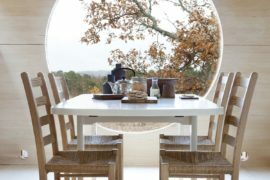 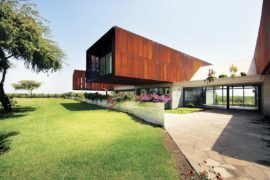 The two new volumes are connected with each other seamlessly, with one housing the kitchen, dining area and living room, and the other containing the bedroom and bathrooms. 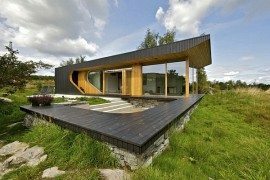 The house is the structure in this case. 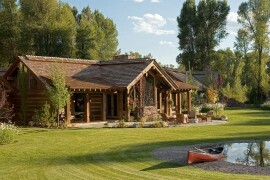 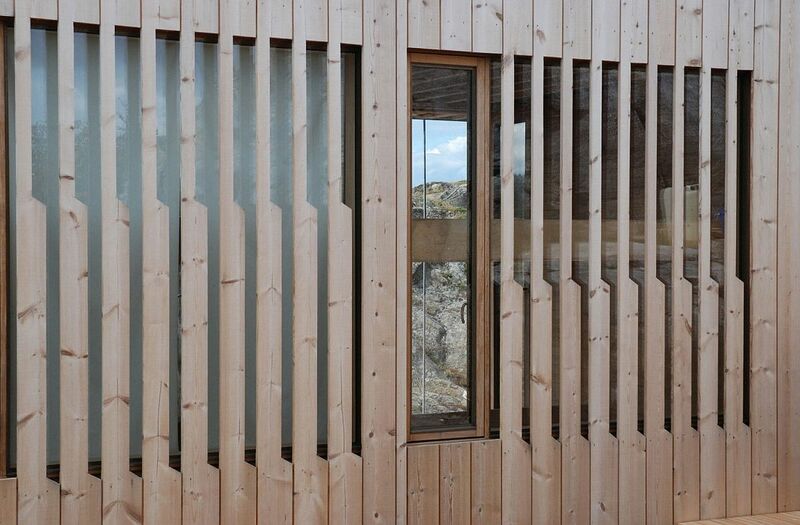 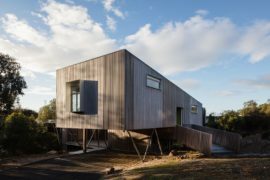 The timber structure is all visible and forms the exterior as well as the interior. 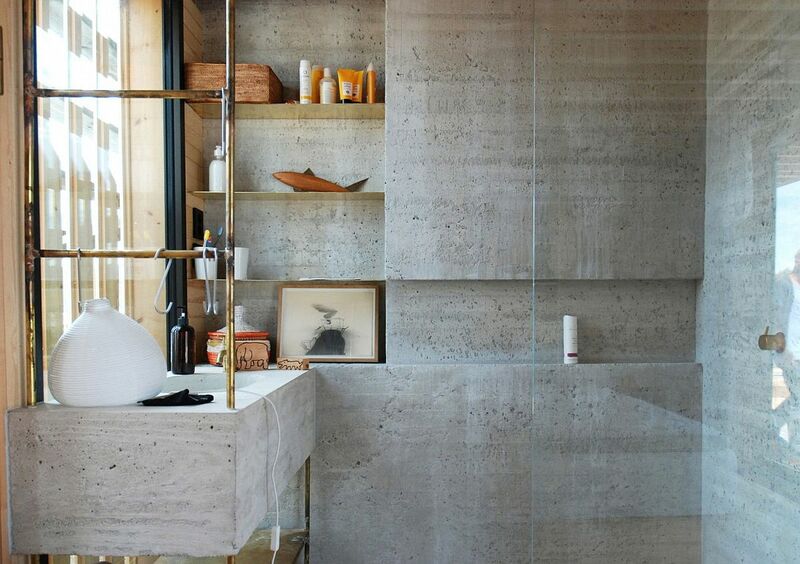 Glulam beams span from inside to outside, and together with raw steel columns and a white concrete fireplace and bathroom, shape and color the interior. 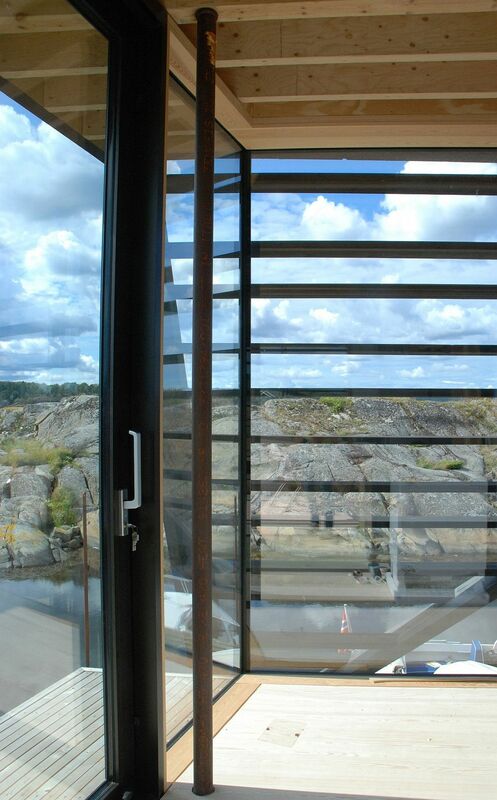 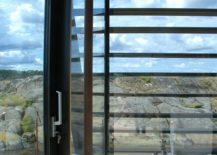 Solid galvanized steel columns (Ø64mm), which are drilled straight into the rock with no other foundation, carry the “new site” that the house sits on.